Why is this park named this way ? And why isn’t it called like it used to be ? And why did they have to change its name anyway ? 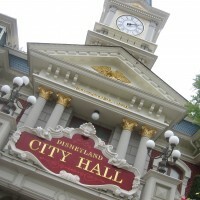 This article follows the “13 Official Names” piece posted before and elaborates on the 13 Disney park’s names’ origins and evolution. 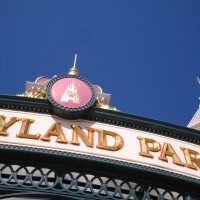 When it gained its Resort appelation in 1998, the much beloved Disney’s original theme park added “Park” at its end. 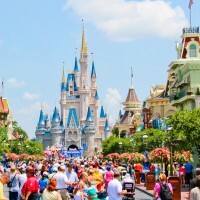 It is commonly refered to as the Magic Kingdom, though never by the Walt Disney Company. Rumors have long circulated that it should be renamed to include a warm first name and maybe lose the Adventure part as well. This never materialized. Very commonly known fact that Roy wanted to add the first name of his brother to the complex name as an homage. Maybe that is why they had to separate the words, because Walt Disneyworld would have read a bit awkward. The only Magic Kingom to be officially referred to as such. It used to be non official and only printed on tickets and merchandising. But since Disneyland in California was commonly called by Walt himself the Magic Kingdom as well, Walt Disney World had to brand their Magic Kingdom in order to stop the confusion of names. In 1994 they officially stamped it Magic Kingdom Park. Opened as EPCOT Center, then EPCOT 94, then EPCOT 95, and then only the lower case Epcot. Origin of the name is well known. It comes from Walt’s last project: the Experimental Prototype Community of Tomorrow. It was supposed to be the other part of the Florida Project, after the Magic Kingdom. EPCOT Center when it opened was indeed the “Other” thing, the first Disney’s Second Gate. But I’m afraid that’s the only similarity it shared with Walt Disney’s original EPCOT. The formerly known Disney/MGM Studios, don’t think I’m gonna teach anyone something new with that one. Was supposed to be renamed Disney/Pixar Studios until a sudden change of heart from the Walt Disney Company. It has been on some occasions called Disney’s Animal Kingdom Theme Park but it’s hard to find it anywhere, so I guess it’s not relevant. Got itself the Resort addition when it got its first Disney owned hotels in 2001 along with its second gate. Used to be Tokyo Disneyland before the second gate. Even the simple name of this park is a delight ! It’s about the sea, its themed lands are ports, so it was to differentiate Magic Kindom’s Lands from this park’s ports that they called it with the very opposite of the word : Sea. Kawaii ! This one had a complicated naming history. 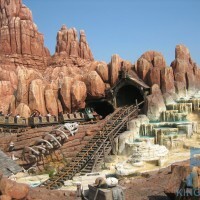 It opened as EuroDisney Resort (though every one called it simply EuroDisney) with only one park : EuroDisneyland. Then the localisation clue was a prefix, as in the only other oversea Disney park : Tokyo Disney Resort. This was the anglophone way to locate places, like in “a New York Bar”. 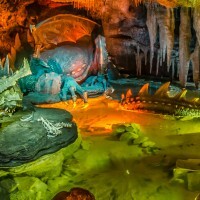 Then, the bad press from the poor success of an international project with so high hopes tainted the image of Euro Disney SCA (the WDC owned operating group of EuroDisney). That was enough along with a recapitalisation to trigger a name change. Another reason was that back in the middle of the 90’s, it had been decided that the future european currency should be called Euro as well. Having a family tourist attraction including the local currency in its official name didn’t sound to magical to EuroDisney SCA’s marketing division. Imagine Americans taking their family to DollarDisneyland. Only after a few months did they definitely drop the Euro prefix to call it Disneyland Paris and Disneyland Resort Paris. Now it’s the only Disney park to bare a name with its location clue apposed after the Disney brand. Anyway that’s how EuroDisney turned into the french fragrance styled Disneyland Paris. French translation of its Californian counterpart. Note that both the french and english appellations are used throughout the resort with no real logic. It was previously expected to be named (while only in blueprints and before EuroDisney ‘s financial disappointment) as Disney/MGM Studios Europe. But the MGM name claim tribulations and Walt Disney historical importance led Disney to agree on a shorter and friendlier name that Europe could commonly appreciate rather that just see it as an another foreign import. The “Park” addition is mostly abridged in Honk Kong Disneyland environment for it only has one park at the moment. For this resort, it seems the naming pattern follows Tokyo rather than its Chinese counterpart. 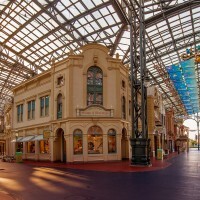 No Disneyland Resort but a simple Disney Resort like Tokyo and Euro Disney Resort back the days.